There is a man on Facebook who calls himself Lord Aleem. 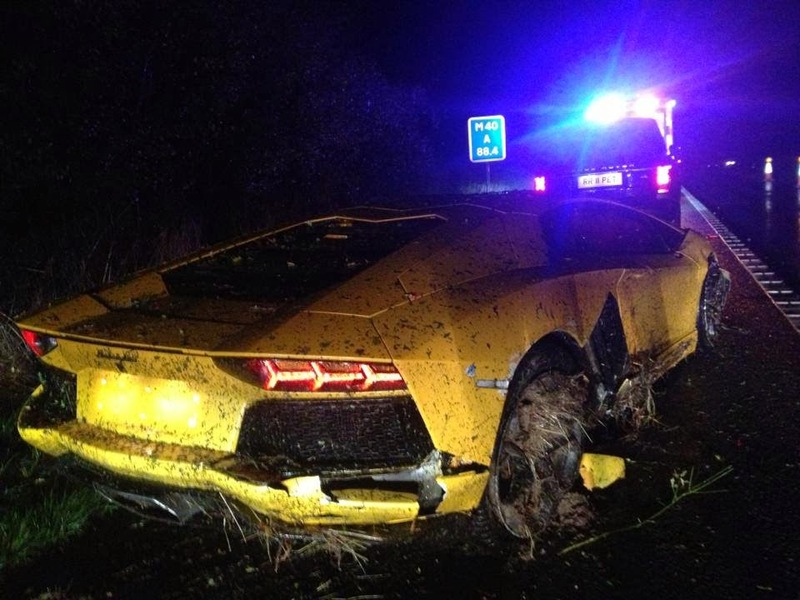 He recently crashed his Lamborghini Aventador and posted this photo and an explanation. "Since the word has managed to somehow get around I will confirm the Yellow Lamborghini Aventador has been involved in an accident. It was caused by the torrential rain we experienced a few days ago which caused the car to Aquaplane and lose control. The damage looks worse than it actually is thanks to all the mud and grass!" Think again about the words, "It was caused by the torrential rain we experienced a few days ago which caused the car to Aquaplane and lose control." Aleem is blaming the rain and the car on his crash. That is an unfortunate and common mistake. The rain and the car did not cause him to aquaplane. Inappropriate speed for a given situation causes you to aquaplane and lose control. You cannot, for example, aquaplane at 10mph unless your car weighs just a few kg and your tyres are massively wide slicks. At 10mph an Aventador's tyres will slice through the water and remain in contact with the road below. At, say, 70mph they may not. Only at great speed will the tyres hit water and momentarily skid above the road surface due to the grooves in the tyres not being able to displace the water at a fast enough rate. I've no qualm with Aleem but blaming the car and rain on his crash is wrong. He misjudged his speed and crashed so, ceteris paribus, it was his fault he crashed.